December | 2012 | Can't Believe It's Allergy Free! The touch of lemon adds a flavorful tanginess to these cookies, while toning down the sweetness of delicious frosting. Santa and all his friends will love these! Combine both the flours, then knead then into the other ingredients, to form a smooth dough. Place half the dough between two sheets of plastic wrap, press to form a flat round, then roll to a 1/4” thickness, between the two sheets. Using special Christmas cookie cutters, press to cut out about 8 cookies. Ball up dough and reroll if necessary, to accommodate different shapes. Repeat this process with the remaining dough. Place on parchment paper lined baking sheets / trays and bake for 14-15 minutes. To 1 teaspoon butter / margarine, add 6 fairly heaped teaspoons confectioner’s sugar. Mix in 1 teaspoon of lemon juice. Divide into two and add a different food color to each portion of frosting. 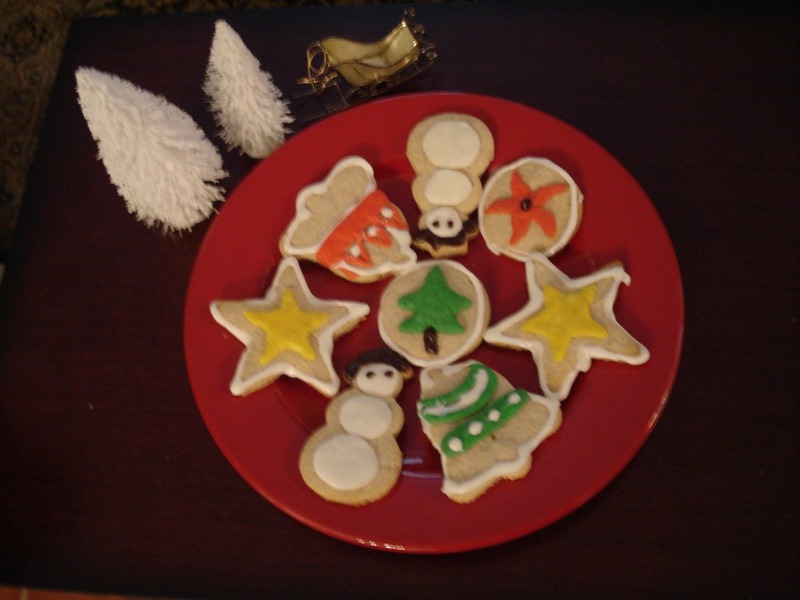 Get creative and have fun decorating when the cookies are completely cooled. Knead about 6 heaped teaspoons of confectioner’s sugar with 2 teaspoons of lemon juice, to form a moderately stiff ball of icing. Add a few extra drops of lemon juice or a little bit more sugar if required. The ball of frosting should be soft enough to manipulate, but not so soft that is spreads and does not form shapes on top of the cookies. Alternately, make softer icing using a few more drops of lemon juice, place into icing bags and pipe your designs onto each cookie. Divide icing into required portions, color each portion with the food color of your choice, make more frosting if needed, and enjoy creating great designs! Kids with or without allergies will love these yummy creations. *That acid and fat in food lowers the glycemic index of sugars and flours? *That lemon juice added to frosting will lower the glycemic index of sugar in our recipe? *That according to Dr. Andrew Weil, reputed physician and nutrition expert, an oatmeal cookie has a lower glycemic index than a bowlful of prepared breakfast oatmeal? To read more food facts, go to “Basics”. 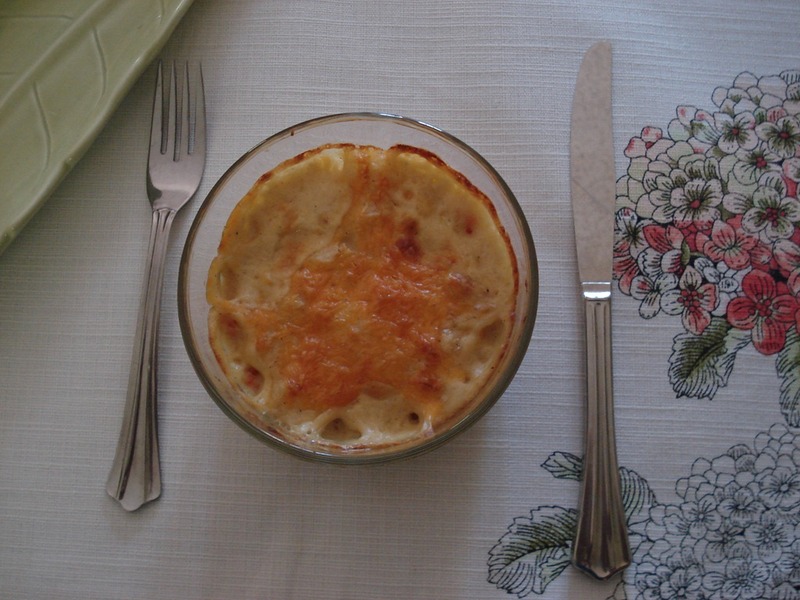 Served hot on a cold day, this is the ideal comfort food for the whole family. Great tasting and easy to make, this is a wonderful way of getting the family to enjoy vegetables! Omit the chicken if you want this to be a purely vegetarian dish, and add a few extra veggies of your choice. Mix cornstarch into the extra milk (2 Tablespoons), and pour into simmering mixture. Place in pre heated oven and bake for about 40 minutes or till sides of the potato topping turn golden brown. Use varied vegetables—broccoli and red and yellow peppers, mushrooms (if they are safe to use), peas and corn, and make your own great tasting combinations. A little fresh basil or a sprinkling of Italian herbs will make it really flavorful.